As long as we don’t have any proof of the casinos bettering their services and run a legitimate online casino, they will remain on this list. Don’t be tempted by big welcome bonuses from these casinos, if you play there you are heading for trouble. 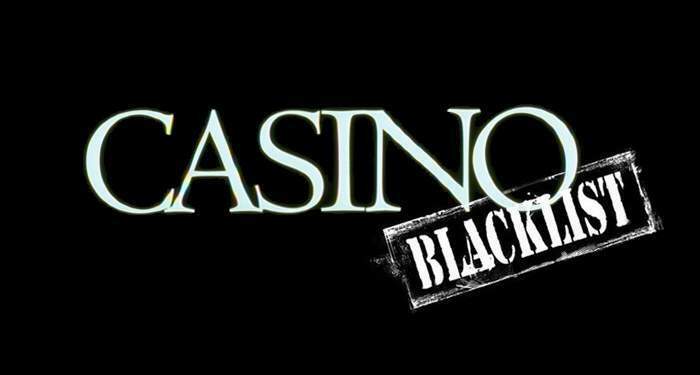 If you have any tips concerning rogue casinos, let us know and if we have enough reason to add them to our blacklist we definitely will. Also if casinos think they should not be on our list and they can provide us with proof they run a legal and responsible business, we will check this and whitelist the casino if everything looks good. 7Kasino Group a number of online casinos that all look pretty much the same. There are addresses in Cyprus, Slovakia and the British Virgin Islands. It is not clear who are behind this group, but it is clear that prize winners don’t get paid. The license is probably false and the online casinos have very unfair conditions. They also don’t respond to questions in emails. There is proof that some of the online casinos also work with paid hackers to break into sites so they can spam advertisements for online casinos. Betfred have continued to offer games provided by Spileo G2 after this group were found to be providing card games that did not conform to the natural probabilities that real cards would generate. As such they’ve been added to our blaclist. Bwin.Party is a big name and operates under many different names. Many of these online casinos have a history of many years of closing accounts without proper cause, prize money not being paid not responding adequately to complaints from players. The online casinos belonging to the Conan Gaming group make it very if not impossible to get paid. Complaining is pointless because the emails don’t get answered. Conan Gaming is also involved in a group of individuals who breaks into other people’s websites. These websites are spammed with casino advertising in which online casinos of Conan Gaming are prominently represented. The Game Tech Group N.V. were previously caught using counterfeit Net Entertainment games. This issue has since been rectified but we would still caution players against playing with operators run by this group. There numerous other issues with this group, including predatory player terms that place win restrictions on non-bonus play and a non-responsive attitude towards player complaints. This group is directly connected to the notorious Israeli Affpower group which was caught red handed using fake NetEnt games. They did not deny the presence of this cheating software, and their licensing jurisdiction, Curacao did nothing about it. Players had been playing games which were non compliant to any form of control, regulation, or ethical conduct. These operators are cheating their players. 100% untrustworthy – 100% rogue.